Housing resources are typically expensive and limited for this special population. But without specialized care, the mentally ill face the stress of being unable to perform daily tasks or the inability to find necessary support. Warren Yazoo Behavioral Health operates two group homes designed to provide community-based care for the seriously mentally ill, including those discharged from the Mississippi State Hospital. Together, the two homes can accommodate a total of 27 residents. Through the group homes, residents receive affordable 24-hour residential care and supervision in a home-like setting rather than in an institutional facility and reduces the individuals chances of requiring re-hospitalization. Residents share household responsibilities including cooking, cleaning, and menu planning. Each resident's progress is followed through psychosocial rehabilitation programs and individual therapy. For more information, in Yazoo County call 662-746-4361, in Warren County call 601-636-1814. The Transitional Living Apartment program is provided in Warren and Yazoo Counties. This program provides furnished apartments for adults with a serious mentally ill diagnosis who are in need of transitional living arrangements to help them obtain the goal of independent living. For more information, in Yazoo County call 662-746-4361, in Warren County call 601-638-0031 ext. 3653. 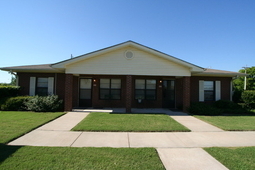 Warren Yazoo Behavioral Health also manages an apartment complex of 17 one-bedroom units in Vicksburg. The property is in close proximity to healthcare facilities, retail businesses, government offices, and faith-based organizations. The development helps to meet Warren County's affordable housing need for individuals who meet eligibility criteria. Call 601-638-3699 for more information. Cornerstone Apartments is a complex of three apartment buildings offering 12 Intellectually/Developmentally Disabled individuals supervised housing and supported services in Yazoo County. This safe and affordable housing for the Intellectually Disabled fosters an individual's ability to be as self-sufficient and independent as possible while participating in the community. Results of a consumer's residency in Cornerstone Apartments will include improved self-esteem and confidence through independence and success. The individual must be twenty-one years of age with an intellectual or developmental disability. The individual or his/her legal guardian must submit an application for admission to Cornerstone Apartment. Individuals submit applications and meet initial admission requirements will be interviewed and placed on a waiting list until eligibility can be determined. Applicants must have a psychological evaluation including an assessment of intellectual and adaptive functioning accompanied by a Certificate of Developmental Disabilities. The applicant must also be SSI and Medicaid eligible. To meet HUD eligibility, the applicant must submit an application for subsidized housing and income verification. The program will also require that a physical exam be complete before admission. Upon admission, a needs assessment will be completed to determine the individual's present strengths and needs for utilization in the development of an individualized service plan. 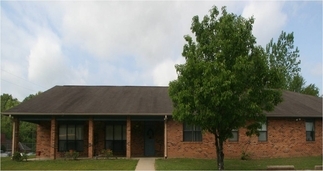 To find out more about Cornerstone Apartments, please call 662-716-9803.